For a Marvel film to surpass an ordinary superhero motion pic plotline is legendary, and that’s exactly what “Black Panther” does with its iconic cast, awe-inspiring cinematography and memorable screenplay. “Black Panther,” directed by Ryan Coogler and released Feb. 16, creates a mythical, child-like sense of wonder in audiences worldwide with its unique narrative that explores African history, cultural issues and government policies. The superhero film with a predominantly black cast and black director focuses less on action and more on moral dilemmas the audience can relate to and learn from. “Black Panther” challenges outdated notions of race and gender, while enlightening viewers on the beauty of traditionalism combined with modernism. The superhero film follows T’Challa (Chadwick Boseman), who returns to his homeland, the fictional African nation of Wakanda, after the death of his father, T’Chaka (John Kani), in Marvel’s “Captain America: Civil War.” T’Challa assumes the throne after a tense standoff with a rival, but his reign is challenged by a foreigner’s plot that threatens not only all of Wakanda, but the world. Boseman’s T’Challa, while not the underdog like Captain America (Chris Evans) or a misunderstood hero with a heart of gold like Iron Man (Robert Downey Jr.), is equally as endearing and charismatic. Boseman gracefully portrays a compassionate king and hero who struggles under the weight of his duties to Wakanda, its people and the rest of the world. 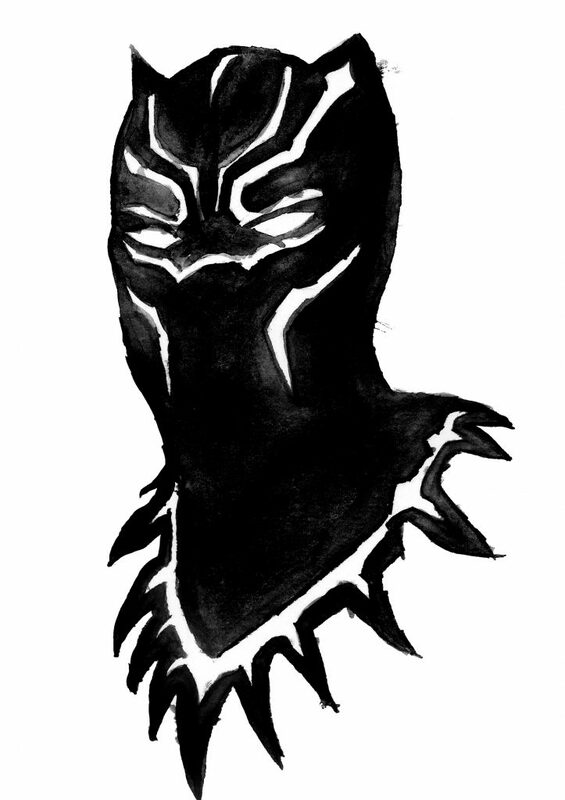 He’s joined by equally talented individuals who draw out T’Challa’s inner strength and wisdom on screen. Michael B. Jordan perfectly captures American Erik Killmonger’s distant persona. Some could argue Jordan’s performance is stunted by Killmonger’s strong Americanisms, but he manages to execute a sympathetic, if slightly corny, character fairly well. Sterling K. Brown succeeds at bringing viewers to tears during his few powerful scenes. But the real stars of “Black Panther” are the female characters. The superhero film does away with the strong-female-with-little-personality archetype and explores equally strong women with diverse skills and personalities. Lupita Nyong’o plays Nakia, T’Challa’s love interest, but her character is not limited to that. Nakia has her own dreams and ambitions that later influence T’Challa to be a better man and king. She’s the catalyst of change in the film, introducing the concept of isolationism versus interventionism. T’Challa is also surrounded by the wise Queen Mother Ramonda (Angela Bassett) and his scientist sister, Princess Shuri (Letitia Wright). A female general, Okoye (Danai Gurira), dutifully supports the king in his militaristic endeavors. Okoye, a fierce warrior, doesn’t falter carrying out her duty, even when love stands in the way. Each female character dominates the screen anytime they appear. Okoye leads a group of elite female warriors called the Dora Milaje, who defend the Wakandan throne. The Dora Milaje are based on a real group of African woman warriors from the 1800s, the Dahomey Warriors, according to face2faceafrica.com. The Dahomey Warriors served the Dahomey kingdom, now modern-day Benin. European travelers acknowledged the female soldiers were better organized, swifter and braver than their male counterparts. “Black Panther” incorporates African history and diaspora to create the people and land of Wakanda that some characters mistakenly believe to be a third-world country. Cinematographer Rachel Morrison crafts an otherworldly nation surrounded by verdant landscapes and stunning wildlife and incorporates technologically advanced structures to create the world power that is Wakanda. Coogler and Joe Robert Cole unite tradition with innovation in their narrative that conveys the grandeur of Africa. They designed an African stronghold untouched by slavery and colonialism, which led to Wakanda’s current power and represents a brighter future for the oppressed. According to The New York Times, “Black Panther” broke box office records and the Hollywood myth that movies about black culture would not do well overseas. The superhero film became the top-grossing film in history by a black director and featuring a predominantly black cast. As of press date, the film has raked in $491 million worldwide, according to Variety. Its cultural impact and success conveys America’s, and the whole world’s, readiness to accept more diverse stories and characters.